Incepted in the year 2005, Deepak Plasto Industries is known to be amongst the leading manufacturers, exporter, importer, traders, and suppliers of this impeccable range of HDPE/PP/PP-FRP/PVDF-FRP/PVC-FRP/M.S/SS 304,316/Mild Steel Storage Tank Reactor Vessel & Scrubber System etc. Making of this range is done as per the set industry norms and guidelines, utilizing the finest raw materials and advanced technology. This ensures the product’s performance, capacity, speed and service life. 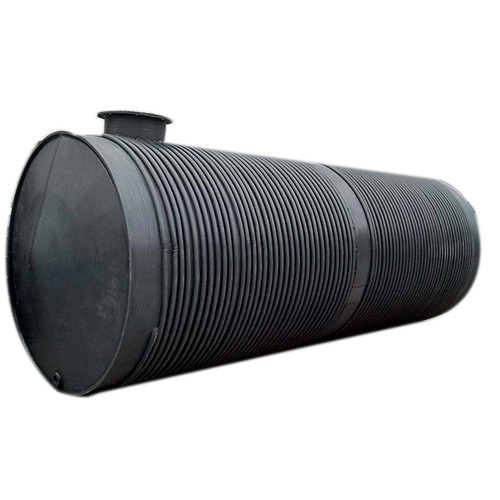 The offered range made up of the finest Spiral HDPE Storage Tank, Industrial Pipe and Reactor Vessel are highly demanded in the market. Further, the finest Installation and fabrication services are provided by us, at the best possible rate with the best Quality. The highly developed state-of-the-art infrastructural facility at Deepak Plasto Industries has been highly compartmentalized, for reasons of attaining smoother and effective management of the firm’s operations. The facility laced with all the necessary machinery and equipment helps us in attaining several of the firm’s predefined targets. To extend our reach in the market and to maximize productivity, we keep upgrading the facility on a highly regular basis. Further, owing to our ethical working habits, We have managed to generate a huge client base comprising Aarti Drugs Ltd., India Pesticides LTD., D.K. Pharma Chem Pvt Ltd., & Vedanta Dyestuffs Intermediates Pvt.Ltd. WE MAKE NON-CORROSIVE, LIGHT WEIGHT, LONG LASTING & LEAK PROOF CHEMICAL STORAGE TANK.